Add a touch of musical excellence with our Guitarist. Whatever your taste in music, at a party, you want to hear something that blows your mind or makes you get up a dance. A guitarist is the perfect answer to this. 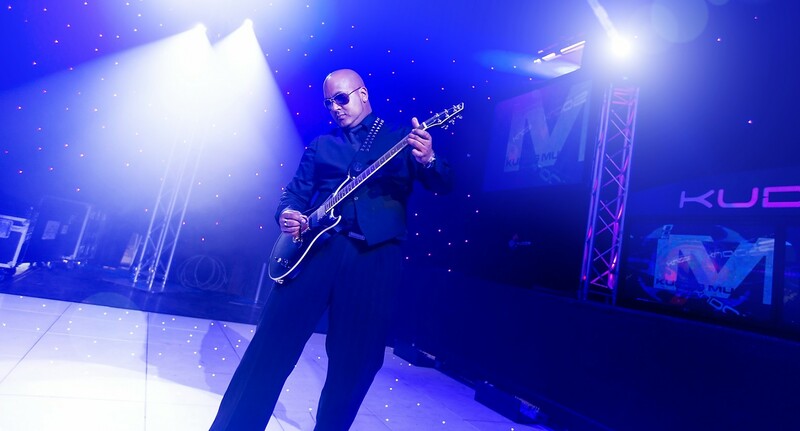 A highly skilled player, our guitarist looks and sounds the part, adding a touch of class to your event. Whether you're a rock fan and want to hear endless Guns and Roses solos, or you prefer something a bit more relaxed and even jazzy, our guitarist can fulfill all your requests. Parties are about celebrating, making the most of an evening, and seeing things a bit out of the ordinary. It's not every day you see talented musicians performing just for you and your guests! Ideal for weddings, our guitarist can play a setlist of your choice, and even be the one to play you into your first dance. This style of entertainment is something a bit different to the usual DJ set, and gives you something to watch and stare at in awe as he pulls off yet another tricky lick. Whether you want to combine the guitarist with any of our other entertainment services is up to you, he's impressive enough on his own, though would work well as part of an evening of entertainment. To discuss details, or to enquire about booking the Kudos guitarist for your party, wedding or big event, give us a call. Why not book a Kudos Guitarist for your wedding or event today! Contact the sales team to see how we can find the perfect entertainment for you.